Thank you. Your “shares,” “likes,” hearts, comments, financial support, advice, volunteer time, EVERYTHING—IT PAID OFF. This is a culmination of 4 years and now 3 elections. I ran in 2014, and now survived and thrived in 2018! This took a village, and you came through. 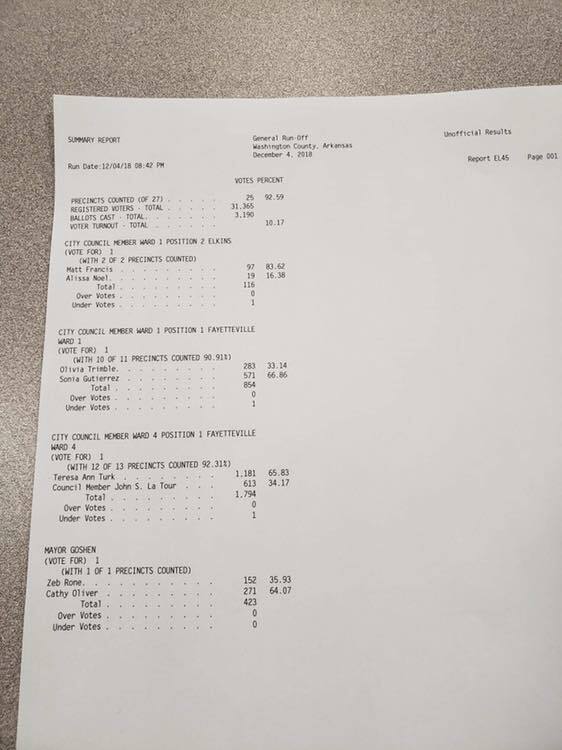 Here are the “unofficial, final runoff numbers” that were used to decide our victory! I look forward to serving as your Ward 1, Fayetteville City Council Member. P.S. If you want to see my reaction election night, here’s the video I took of myself and my friends at my watch party, balling my eyes out from elation.